Schedules settled for Katya’s trip to Vladivostok | Daily Life in Japan, Muravej Co.
Katya took Maya-san to see the vet. She had her back irradiated by laser light. Maya-san is getting better, but we need to be careful. Katya seldom lets her walk. Katya’s return home is getting close. Katya does not like Vladivostok Air very much, so this time, she tries to use Korean Air. I saved enough Delta miles for letting Katya take a Korean Air to Vladivostok, but I found out that during summer, they do not offer flights by miles. So I decided to use ANA miles between Japan and Korea. Between Korea and Vladivostok, we buy tickets. 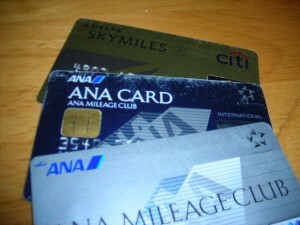 Yesterday, I called to ANA for the flights; there was an ANA flight to Korea, and Asiana flight from Korea back to Tokyo. I reserved them. Then Katya found out that the connection from Vladivostok to Korea to Tokyo is not good. So this morning, I call to ANA again. Boy, it took half an hour before I reached an operator! But I was able to change the flight back to Tokyo. Eventually, Katya leaves Japan on August 5 and returns on 30. I hope Maya-san will be much better before Katya leaves, or Katya will be very worried. This entry was posted in Daily life, Katya, Maya-san, Trip and tagged Katya, Korea, Maya-san, schedule, Vladivostok. Bookmark the permalink. Booking flights for personal travel is always a lot more stressful than work travel. I hope Katya can at least feel a bit relieved that the flights are now booked. At least you’re not having to worry about active volcanoes at the moment (though Japan has enough to worry about). By the way – we’ve been hearing “stories” here of a melt-through in one or more of the reactors (although the suggestion is that this may be through both the pressure and containment vessels). Unfortunately the IAEA aren’t briefing (last one was 2nd June) – and this is my normal source of info. Also – our sensationalist media are reporting the “mutant rabbit” born near Fukushima … are these sorts of stories big inside Japan? Of course, I’m not sure what the natural birthrate of congenital deformity is in rabbits, but I suppose it does happen. I think Katya is relieved to have tickets now. The seat are being occupied if you do not use miles. The melt down is a news here but not as big as it could have been. The radiation is already leaked enough and lands have been polluted; unless there would be an explosion, people would not mind very much about the leakage of the fuel. It is obvious to me that the government hid the information probably to prevent panic. It seems that people do not accuse of it at this moment. I read the rabbit’s news on the internet. It was a news but not a big one. The cause was not obvious, and people probably hesitated to talk about it thinking of the people in the area, some of whom were already pregnant.